If you like live music, there are several acts coming through town that are worth a listen. 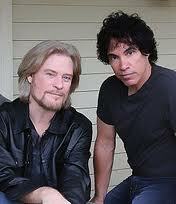 Tomorrow night at the Allen Event Center, you can flash back to the 80s and spend the evening with Daryl Hall and John Oates of Hall & Oates. If you want to flash back another couple of decades, mosey on over to Bass Hall in Ft. Worth for the crooning of legendary Tony Bennett. On Saturday, the 15th, rock out with pop sensation Train at the Verizon Theater in Grand Prairie. We all want to eat healthier but if you’re like me, you probably need a little help in the kitchen. I can whip up a casserole like nobody’s business but I’m a Southern girl and I cook with real butter, cream and add a pound of cheese to everything – which isn’t the healthiest way to eat but it sure does taste good! 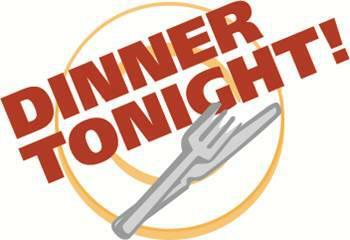 Dinner Tonight Healthy Cooking School will be held Tuesday, September 11 from 6:00 – 8:00 p.m. at the Texas AgriLife Research and Extension Center on Coit Road in Dallas. They’ve teamed up with The Cooper Institute®, Texas Health Presbyterian Hospital Dallas, and Market Street to show you how to cook three easy and nutritious menus that can be prepared in 30 minutes or less. Registration is $20 per person and includes cookbook. Register online at TexasHealth.org/Dallas; click on Dinner Tonight or call 1.877.847.9355. 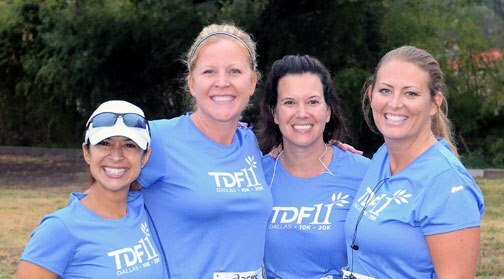 The Dallas Arboretum is hosting the seventh annual Tour des Fleurs 10K and 20K race on Saturday, September 15. Those of athletic ability or just anyone looking for family fun doesn’t want to miss this fun event that benefits the Dallas Arboretum and Botanical Garden. The 10K/20K run starts and finishes at the Arboretum and winds around scenic White Rock Lake. The post-race celebration will include an awards presentation followed by live entertainment, food & refreshments and the opportunity to visit the garden and enjoy the magical Chihuly exhibition. Dozens of local restaurants will be on-site providing post-race food and beverages on the lawn while DECADES - Dallas' Premier Party Band - performs favorite variety hits on the Martin Rutchik Concert Stage. For additional information on Tour des Fleurs or to register, go to www.tourdesfleurs.org.